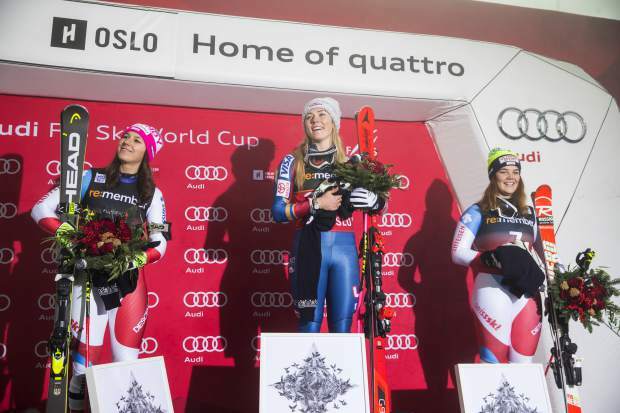 OSLO, Norway — Mikaela Shiffrin won a parallel slalom city event on Monday to match her childhood idol, Marlies Schild, with her 37th World Cup victory. Shiffrin pumped her fist violently after edging Swiss rival Wendy Holdener in the final of a night race made complicated by fog and mist. 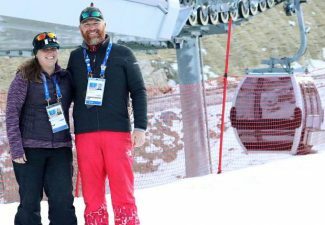 “For me, this is totally different than GS or slalom, or a traditional ski race because you have the person next to you. And I always know that my competitors really want to win — everybody wants to win,” Shiffrin said. 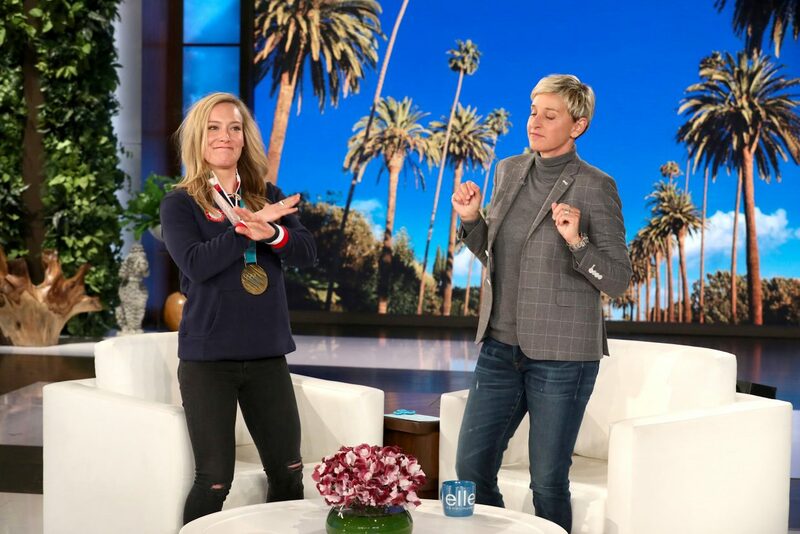 Shiffrin, the 22-year-old American standout, and Schild, the retired Austrian slalom specialist, are now joint sixth on the list of all-time winners that Lindsey Vonn tops with 78 victories. 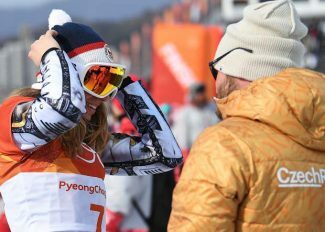 It was the seventh win overall and second in parallel this season for Shiffrin, who is favored to defend her Olympic slalom title at the Pyeongchang Games next month. Melanie Meillard of Switzerland beat Frida Hansdotter of Sweden in the small final for third place. No.2-seeded Petra Vlhova from Slovakia was eliminated by Meillard in the quarterfinals. In the men’s event, Andre Myhrer of Sweden defeated Michael Matt of Austria to claim his eighth career win. Linus Strasser of Germany beat Dave Ryding of Britain for third. Ryding had eliminated overall World Cup leader Marcel Hirscher in the quarterfinals but then fell in the opening run of his semifinal against Matt. 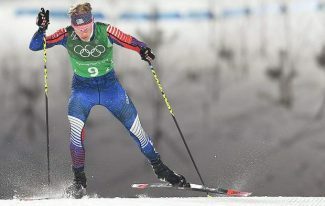 Home favorite Henrik Kristoffersen of Norway made a big mistake in the first round and was beaten by Strasser. Myhrer surpassed Fredrik Nyberg as the second-most successful Swedish man, behind Ingemar Stenmark’s record 86 wins. The race was held on a temporary course built on scaffolding inside the Holmenkollen ski jumping arena, which was used for the 1952 Olympics. The course was 180 meters (yards) long and contained 19 gates — a small fraction of the size of courses featured in traditional slalom races. 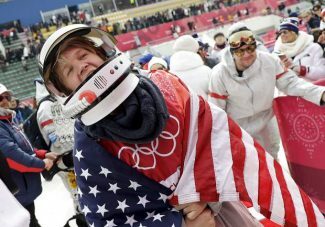 Needing to complete eight runs over four rounds to win in a knockout format, skiers were shuttled back up to the start after each leg following brief pit stops with their ski technicians. The nations team event, which features a similar formula, will make its Olympic debut in Pyeongchang. Up next on the World Cup circuit are traditional women’s and men’s slaloms in Zagreb, Croatia, on Wednesday and Thursday, respectively. Another city event will be held in Stockholm on Jan. 30.